The primary events of volunteers are Pack & Pray and Gifting Events. The Pack & Pray events are held monthly on the third Saturday of each month, except December. This is an opportunity to help pack the bedding packages. The event is held from 9-12 AM with a flexible schedule for volunteers to come and leave as their schedule allows. A light lunch is provided by the founders at no cost. The monthly events are held at Bethany EFC at 6240 S. Broadway, Littleton, CO 80121. 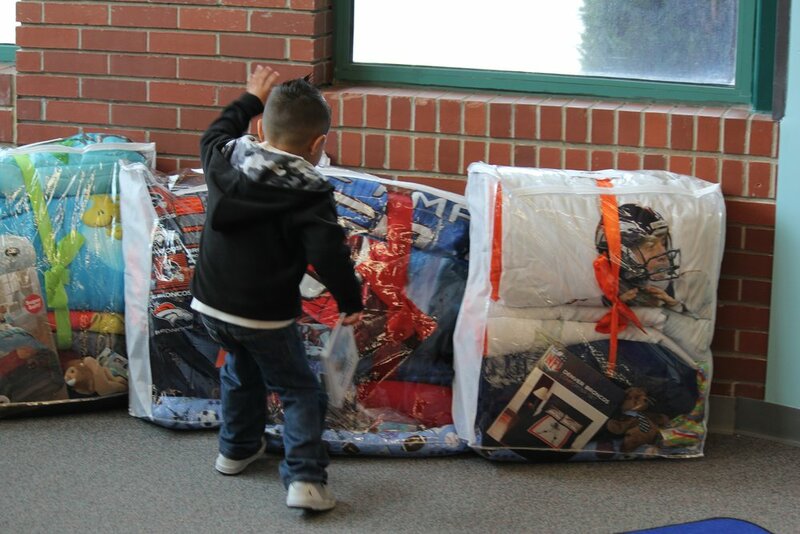 The gifting events are held at one of over 50 agencies in the Denver Metro area and along the front range of Colorado. Volunteers at the gifting events help the children select their exciting new bedding packages, sits down with each child and reads or listens a story titled “You are Awesome”. Gifting events locations will be displayed on the volunteer calendar. At the events bedding bag items donations and monetary donations are graciously accepted. Please contact us if you would like to make a monthly donation for an amount not shown in the options above. Sweet Dream in a Bag is a 501 (c) (3), so all donations are tax deductible. Volunteer fundraisers have been very creative with their ideas for Sweet Dream as follows: school club pillow drive project, company business project, church youth group mission project, all church packing project, Eagle Scout Project and an adult pinewood derby fundraiser. If you would like the opportunity to propose a Sweet Dream fundraiser please visit the contact us page. 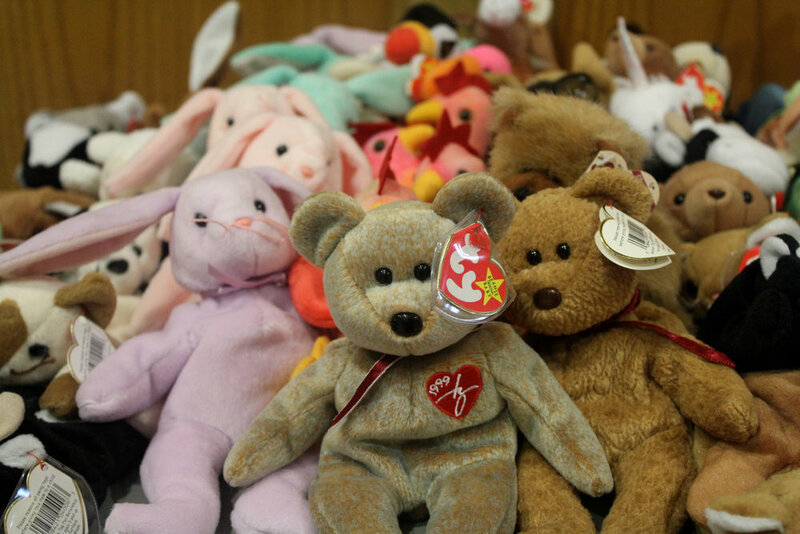 If you have Beanie Baby collections or friends with collections they are graciously always accepted.